Ad Summit Pilipinas is the biggest event for marketing and advertising professionals. It is a must to be in the event if you are part of the industry. Marketing and advertising professionals attend the event because of the educational value it provides. Add to this, attending the event allows you to network with the movers and shakers of the marketing and advertising industry. Of course, attendees look forward to the after party events sponsored by different companies. This is the icing on the cake that makes Ad Summit Pilipinas a memorable experience. Ad Summit Pilipinas is more than education and fun. It has the Ad Summit Pilipinas 2018 Trade Expo. If you want to gain an edge in your marketing promotions different services are available inside the expo. In fact, the expo is the business platform of the event – the one that introduces new opportunities and strengthen existing partnerships in the industry. The event generates 3,000 quality visitors that are captured and have more time to be engaged by your brands. The attendees are either inside the conference or inside the trade expo. This is a big opportunity for you to talk to them, and educate them how important is your product and service offerings. Your competitors are part of the expo; will you leave them alone with your target clients? Definitely, you have to be part of the expo. This is your opportunity to observe the competition. Get first hand information on your competitor’s latest offerings. In fact, another opportunity that you can explore is how you can collaborate with your current competition in areas that they are weak. The expo is the venue for you to strike meaningful conversation with your competitors – you should not miss this chance. This year’s them of Ad Summit Pilipinas is “DIY Your ROI”. A timely theme that companies must ponder. On the other hand, the Ad Summit Pilipinas Trade Expo has a proven track record of providing positive ROI to all the participating exhibitors. If your company is considering participating in the expo, this is one big reason to participate. The quality visitors, mostly decision makers, are all attending the Ad Summit Pilipinas. 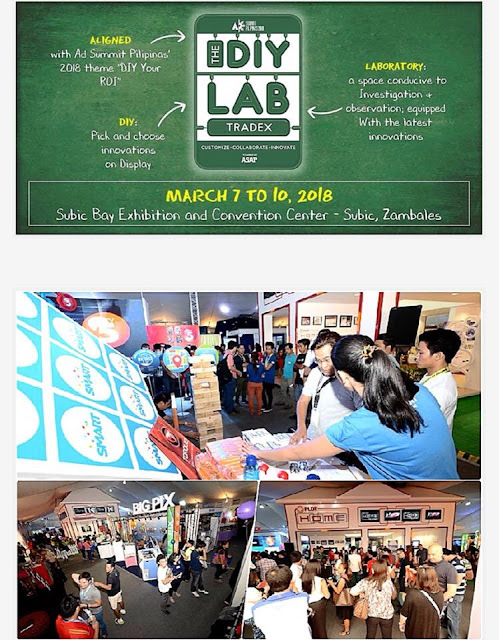 Therefore, it is a must that your company is part of the trade expo. If you have decided to join, call tel. no. 633-0153 or 643-3887 or email info@exlinkevents.com. Lastly, there few are booths left, so you must call immediately before it is too late.